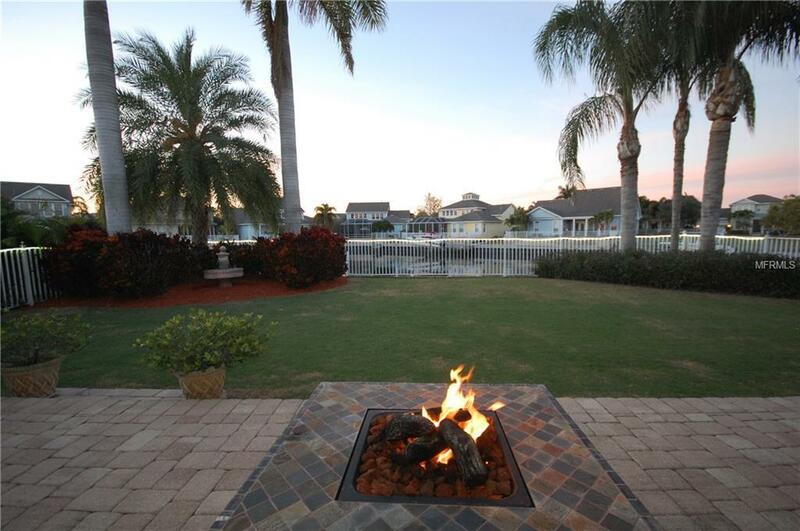 Welcome to the waterfront resort community of Mirabay. 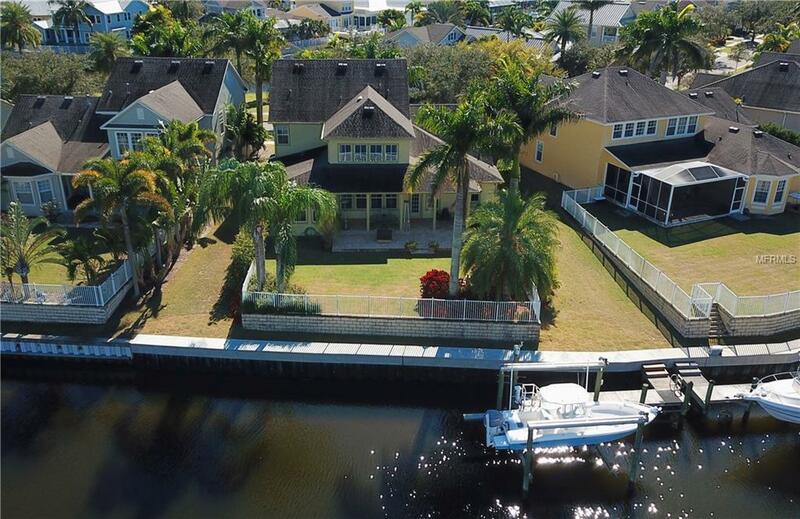 This beautiful home is located on a saltwater canal with direct access to Tampa Bay and a brand new seawall. Have a larger boat? The home sits on a unique lot with large turning basin and comes with a 24,000 lb boat lift as well as a JETSKI/tender lift. The current owners purchased 2 extra feet into the canal to accommodate wider boats. This David Weekley Sand Dollar model features water views from every room! There are 4 bedrooms (master suite downstairs), 3.5 baths, den/office, formal dining room, expansive eat in kitchen and family room, and loft. Gourmet kitchen has granite counters, solid wood cabinets, gas cooktop, SS appliances (new fridge in 2018), and tons of counter space for the chef of the house. 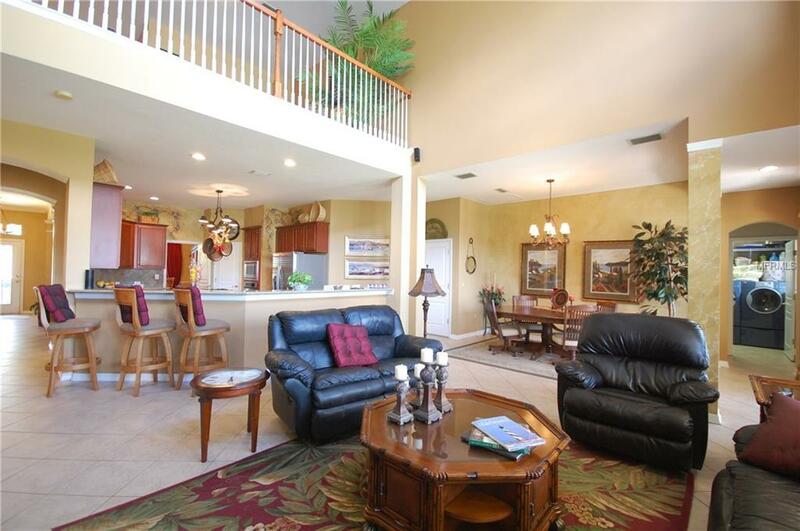 Upstairs you will find 3 sizable secondary bedrooms and 2 full baths as well as a loft/bonus room. 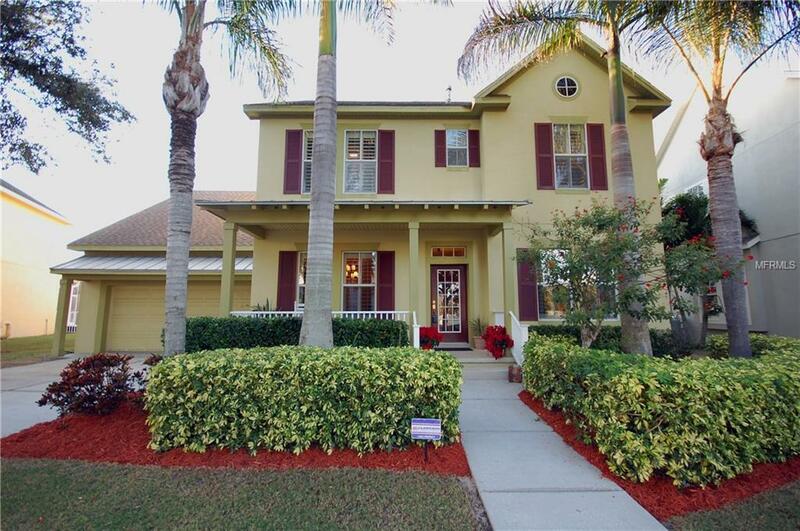 Outside, enjoy the brick paved extended lanai and fully fenced yard. The 3 car tandem garage is optimal for additional storage. Upgrades to the home include Armor Guard window tint/hurricane film, new water heater, new fridge, and generator transfer switch in garage. The waterfront gated community of MiraBay is a playground of all ages; the amenities include a clubhouse with fitness, aerobics, and spa. The community heated pool is open year round and features a waterslide and lap lanes. Tennis courts, basketball courts , and several playgrounds.